Our gauges are very high quality gauges with very precise tolerances. 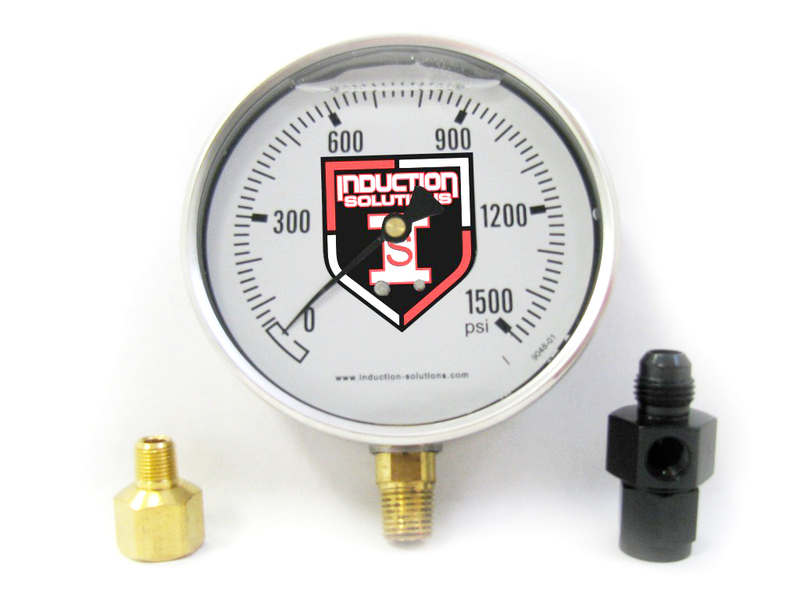 These high pressure gauges will read consistently from 0-1500 PSI time and time again. Constructed of a very clean looking stainless steel housing, these exceptional quality gauges have a brass stem. The 4 inch Liquid Filled Gauge comes with the appropriate adapter to an 1/8 NPT thread and the prices include the fitting you choose to add the gauge inline very easily! 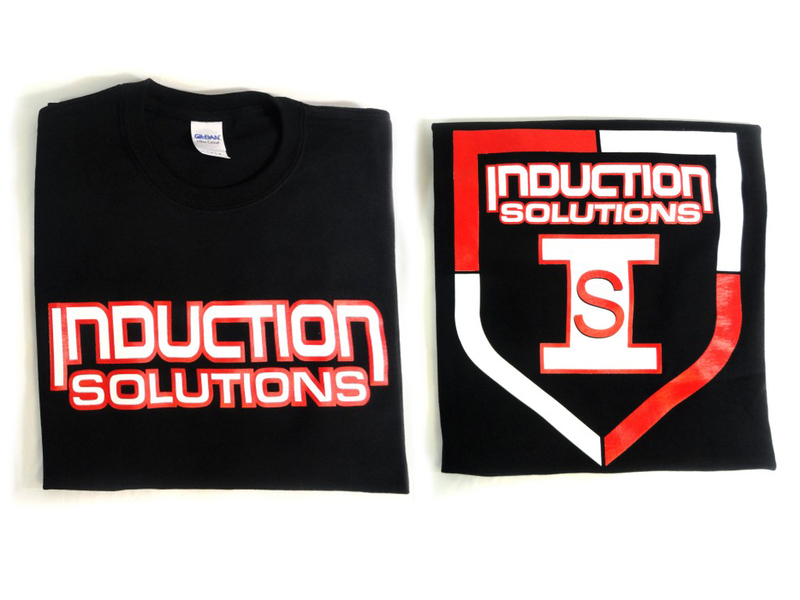 They have an easy to read white face with black marked increments and our Induction Solutions logo in the center! These are a great addition to any car, also providing a large face that is easy for anyone to see! Why Choose Our 4 Inch Liquid Filled Gauge? 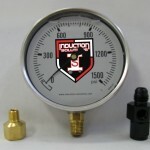 Liquid-filled gauges last longer than traditional gauges because of the fluid filling. Over the life of your vehicle project’s life, this results in cost savings, as well as higher precision. This savings is based on a lower cost as well as less unscheduled downtime. Internal liquids protect against severe temperature fluctuations and vibrations – important contributing factors in the breakdown of regular (dry) gauges. Because they dampen temperature variations and vibrations, our liquid-filled gauges are easy to read and provide you with greater accuracy. In traditional gauges, condensation build-up results in poor visibility. This can be a critical, and expensive flaw in high-humidity environments. If you can’t read your gauge, it is a worthless gauge. As a fix for high humidity situations, our liquid-filled gauges are designed to prevent moisture from entering the body casing and the lens. Because they are sealed, and also constructed to meet the demands of the nitrous kit user, liquid-filled gauges are commonly preferred over dry gauges.